Let your light shine in the face of terror, hatred, and evil. 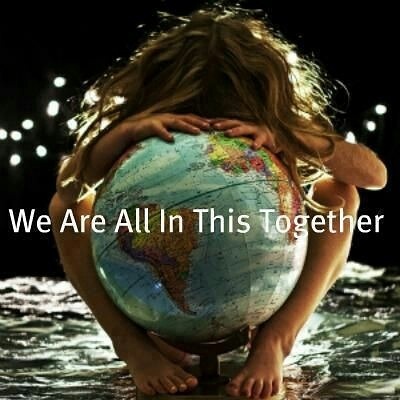 Only if we stand united in love, will our inner light be able to banish this great darkness from the world. Not just the “Western world,” but the entire planet. Violence, suffering, and hate spread like a sickness throughout of planet. 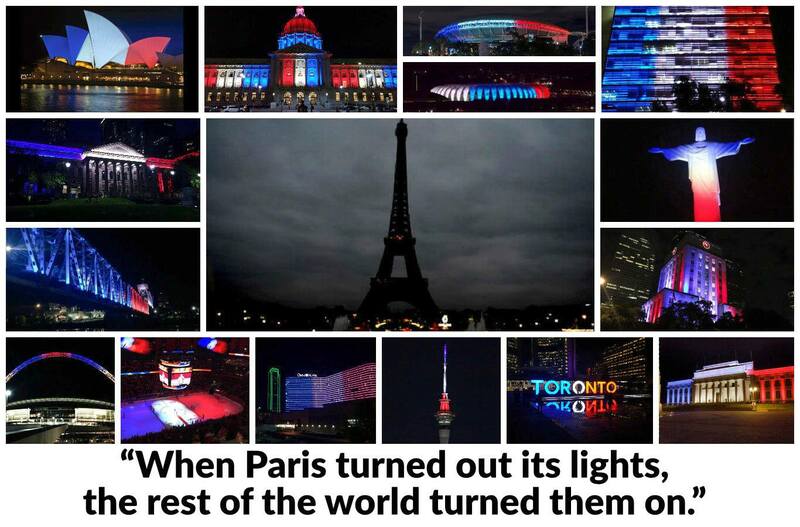 We must stand in solidarity not just with France, but with all those who have been attacked. Terrorism is bred of hatred. Violence begets violence. It longs to cast its darkness upon the world. It is the evil not of one religion or race or nation, but of those who love violence and cling to their blind hatred above all else. It murders and violates the innocent. It drives families from their homes. If allowed, it will poison humanity, brother against brother. Standing in solidarity with one another, we can lend each other strength to brave this darkness together. 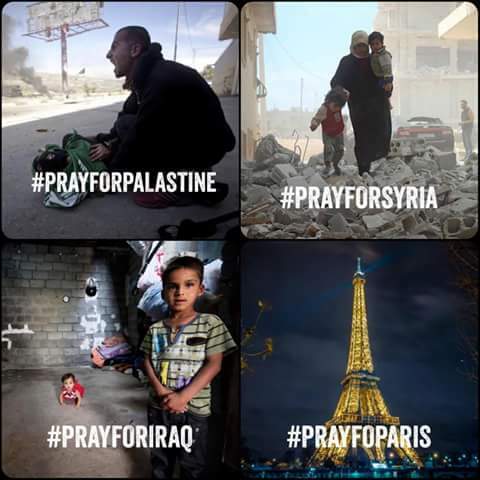 Seeing places like Paris or New York or London hit by terrorism provokes more attention because we have grown painfully numb to daily battles faced by the innocent citizens of the Middle East. 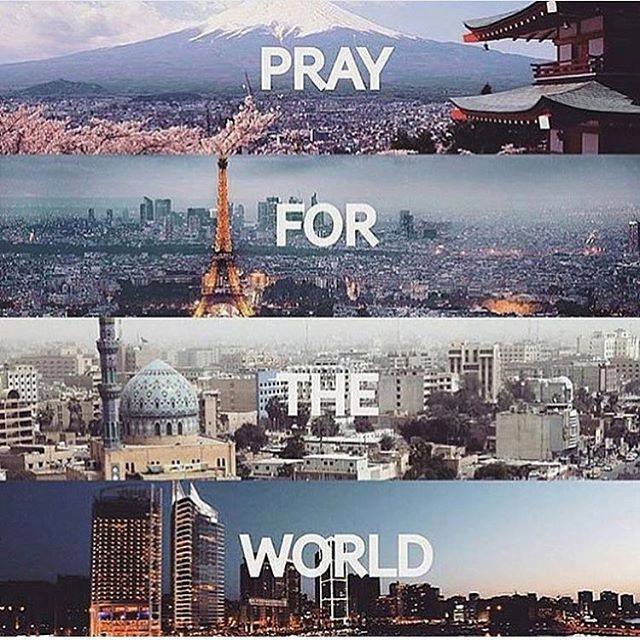 But we have to realize that an attack on humanity anywhere is an attack on us all. How can we claim inalienable rights, given to us by God, if we allow those human rights to be continuously violated? Terrorism wants to strip away our sense of home. Home. What does that word mean? Yes, it is a space you live in, but it is so much more. It is our shelter, our security. It is a place we share with our family. The place we invite our friends. Stealing a person’s home, forcing them out with violence and fear. It takes away the person’s sense of security and disrupts their family. It violates the sacred space meant to shelter you from the outside world. In the end, this leaves in those still in their own homes in a state of fear. These deaths, this violence, and chaos do not honor God, Allah, or Yahweh. The God who brought order into the universe in the act of creation, who gave law to his people, who taught love and forgiveness. No the only god honored by terrorism is the god of darkness, bloodlust, and chaos who sows evil into the heart of men. Intoxicated with power, blinded by hatred, people have been led astray feeling justified in their self-righteousness. But in the end their lives are claimed by this violence too. Good people with good hearts, we need to stand together. We are stronger united. Standing against violence and injustice. Terrorism violates rights to life, liberty, and home. It extinguishes all hopes of happiness, replacing them with fears. Global solidarity standing together against terrorism isn’t the perfect solution for ending acts of violence and hatred around the world, but it is the answer to defeating terrorism. Terrorist win when we are living in terror. Feeling cut off, alone, in constant danger. While changing your Facebook status or my making social media post may seem futile, these are powerful symbolic tools amplifying our voice. We can share love and respect, standing together in solidarity against this violence and hatred strengthens all of us. We fight the darkness by letting our light shine. Together we can light the world.